Often referred to as a slipped disc or pinched nerve, spinal disc herniation is a fairly common problem among older individuals. A herniated disc in the neck or back can irritate or compress nearby nerves, resulting in a number of neurologic symptoms. Often times, herniated disc treatment or surgery is the only option to overcome the unnecessary pain. Learn more about this condition by visiting the slipped disc page on Mayo Clinic. At ProMedSPINE, we take pride in offering the most sophisticated technology and cutting-edge minimally invasive spine procedures to provide the highest quality of care for our patients. Our renowned neurosurgeons and spine experts specialize in the comprehensive treatment of injuries and degenerative changes to the spine. To learn more about our herniated disc treatment or to schedule an initial consultation, please contact our spinal experts today. The spine consists of a series of bones (vertebrae) stacked on top of one another from the bottom of the skull down to the pelvis. Spinal discs fill the space between each of the vertebrae bones (interbody space). These discs consist of a soft, shock-absorbing interior encased by a thicker fibrous exterior. As we age, our spinal cushions begin to lose water content and are more prone to wear and tear during daily activities. With chronic overuse or a sudden strain, the outer layer may tear, allowing the soft inner layer to spill out and compress the spinal cord or nerve roots exiting the spinal canal. A herniated disc is just one of the many spinal conditions treated by Dr. Gravori at ProMedSPINE. In rare cases, a herniated disc may completely block a group of nerve roots in the lumbar spine called the cauda equina. Signs of this more serious nerve compression include worsening pain, numbness, or weakness in the limbs and bladder or bowel dysfunction. This is referred to as “Cauda Equina Syndrome”. If you experience any of these symptoms, seek medical attention from your healthcare provider immediately. Throughout their years of experience and expert training in neurological and orthopedic spine surgery, our back doctors have approached patient care with the following philosophy: except in the case of medical emergencies, the first line of treatment should always be conservative. Many patients find that their pain is effectively managed through a combination of medication, cortisone injections, and/or physical therapy. 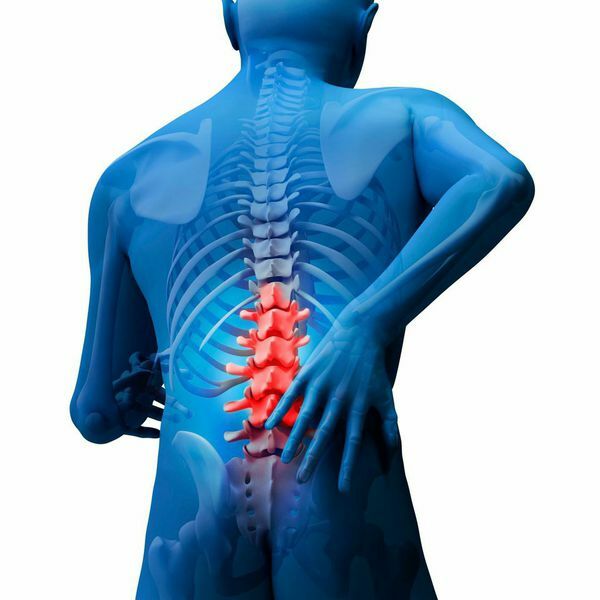 In the event that conservative therapies fail to relieve your symptoms, or the pain/numbness in your limbs begins to progress, your spine doctor may recommend a minimally invasive laser spine procedure to remove the herniated portion of the disc and relieve compression of the affected nerves. Herniated disc surgery is an outpatient procedure known as percutaneous discectomy, and involves making a small incision directly over the affected area and inserting a camera-equipped laser through a thin guide tube. The laser is used to vaporize the disc material and relieve nerve compression while avoiding extensive blood loss and tissue damage associated with traditional “open” herniated disc surgery. The relatively quick herniated disc surgery takes 30-45 minutes and can be performed under sedation and local anesthesia rather than general anesthesia. After percutaneous discectomy, many patients experience immediate relief of symptoms and can resume their daily activities shortly after. ProMedSPINE is a Los Angeles-based practice with locations in Beverly Hills, Encino, and Valencia dedicated to comprehensive, state-of-the-art care for diseases and conditions of the spine. Led by renowned neurosurgeon and leading expert in minimally invasive spine surgery, Todd Gravori, MD, we offer the most advanced and effective treatment options available to relieve chronic pain associated with spinal degeneration or injury. If you are experiencing symptoms of a slipped or ruptured disc and would like to schedule an initial consultation for herniated disc treatment with a renowned spine surgeon, please call 888-75-SPINE or fill out our online contact form. Next, learn about disc bulges.